Hi everyone! 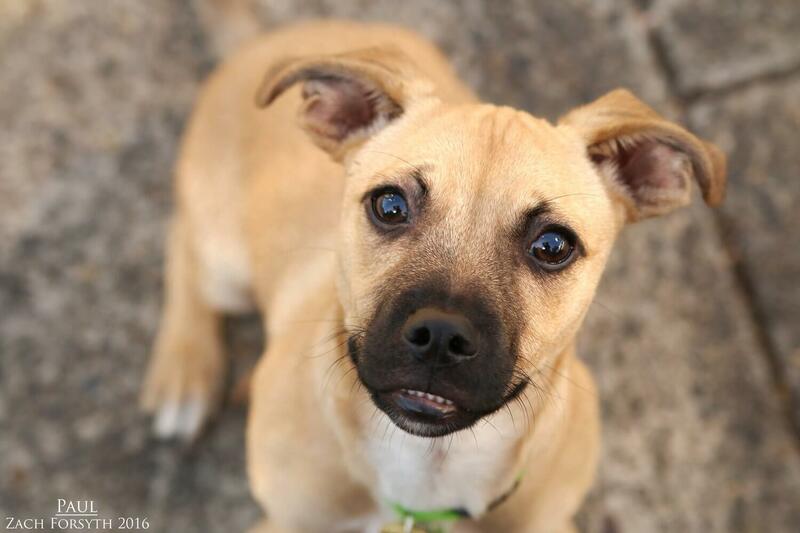 My name is Paul and I am a cute as a snug bug under a rug 4 month old terrier mix! Weighing in at only 12lbs, I may be little, but my personality is oh so BIG! I am a funny, entertaining guy whose underbite smile is enough to make anybody’s heart melt. When I am not tossing my toys up in the air or enjoying my daily afternoon walks, you can find me right next to your side snuggling the night away after a long day of fun! Even though I am small, I have a wonderful confidence about me as I trot along the city streets, looking for the next person to give me some love…and maybe a few treats too! I enjoy romping around with my puppy pals here at Pixie-both big and small. Being a puppy still, I do have some energy and bounces that would make me a best fit for kids 6 or older. And those furry felines, well I lived with one before and I am just a little too interested in them. But since I am young and very smart, and with the right training, I could easily learn to be their friend! PUPPY CLASSES ARE MANDATORY FOR MY ADOPTION! Are you ready to have a ball?! Then fill out an application today and tell them you want to meet me, Paul! I come to you vaccinated, neutered, and micro-chipped with an adoption fee of $250.